Celebrate Earth Day at the library! Join us for a fun and interactive morning where kids will get an opportunity to create and personalize their own stepping stone. Adults must accompany children under 6. 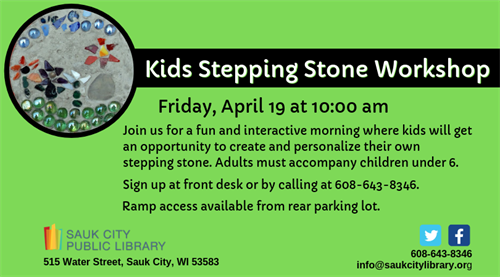 Sign up today at the checkout counter or by calling the library at 608-643-8346.